Laura joined Bell Baker LLP as an Associate in March 2018. Prior to joining Bell Baker, she practiced at another local firm in family law and civil litigation. 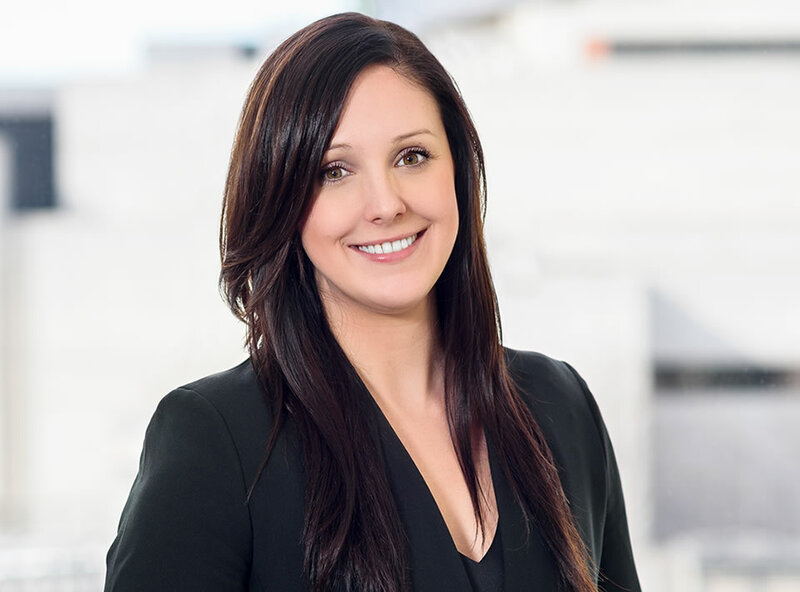 Throughout her career thus far, Laura has gained significant litigation experience, having appeared regularly in the Ontario Superior Court of Justice, the Ontario Court of Justice and the Small Claims Court. At present, her practice areas primarily include family law and civil litigation. Efficiency and a client focus define Laura’s approach to her work. She understands the value of building trust through approachability and open communication. Laura is an avid proponent of alternative dispute resolution but remains committed to protecting her clients’ interests in court proceedings where necessary. Her emphasis is on ensuring that clients know that their needs are understood and that they are informed about what is being done to protect them. Laura received her Juris Doctorate (J.D.) from the University of Ottawa in 2013 and was called to the Bar in June 2014, after articling with Bell Baker. Prior to studying law, she graduated from the University of Ottawa in 2010 with a Joint Honours B.A. in Communication and Political Science. Outside of the practice of law, Laura enjoys cooking, spending time with friends and family, exercising and travelling.